Sometimes Fiona Finkelstein's life seems to be a lot like a TV show -- everywhere she goes, there's a lot of drama. That's what being nine in Ordinary, Maryland, is like when your dad is the chief meteorologist for the local TV station, your mom lives in California and stars in a soap opera, and your little brother thinks he's a superhero. 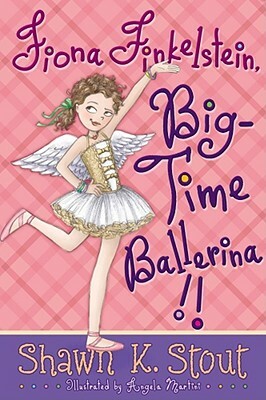 But right now, life is even better than TV, because Fiona Finkelstein has a chance to become what she's always dreamed of being: a big-time ballerina. There's just one problem: In her last recital, Fiona starred as the unforgettable Fiona VOMITstein -- all over the stage, and all over Benevolence Castles's can-can costume. Can Fiona overcome her fears so that she can finally be a big-time ballerina in the local holiday production of The Nutcracker? Or will she remain the only one in her family who has the flat-out worst case of stage fright ever?